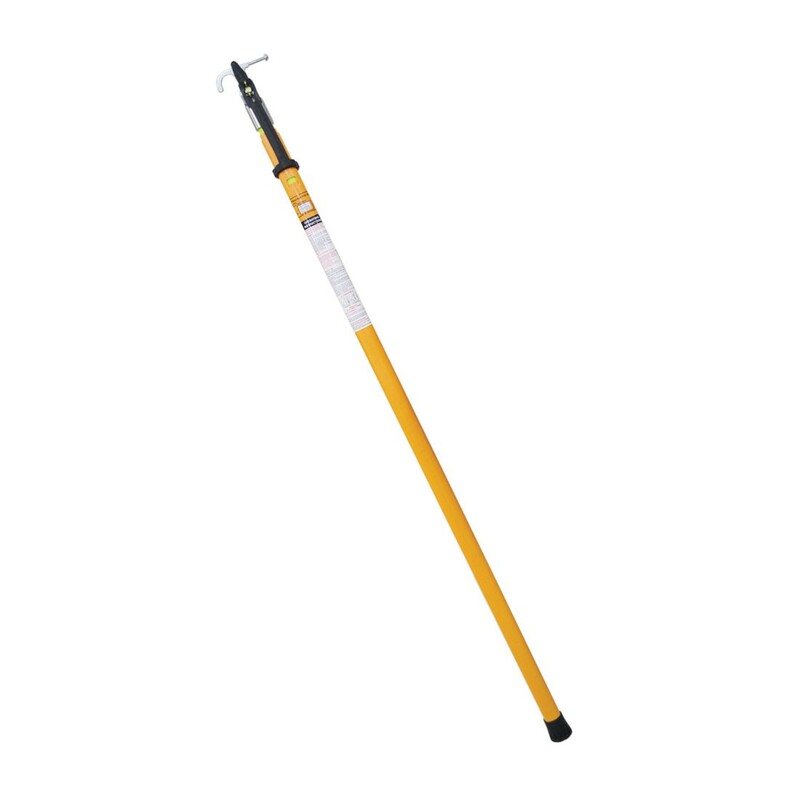 The HHS-175 telescopic hot sticks provides maximum flexibility and access for linesman needing to access electrical systems from a safe working distance. Unique triangular design provides maximum grip. Push button feature locks the extending sections into place. Can be used to open and close switches, fuse replacement, installation of temporary clamps, tree trimming, and overhead switch operation. Each hot stick includes a universal sunrise fitting for securing accessories, rubber hook latch to keep the unit in the retracted position during storage or transportation, and padded canvas storage bag.